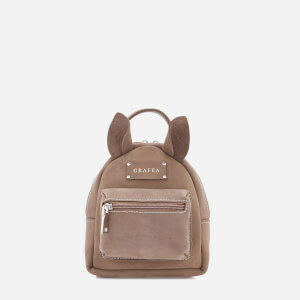 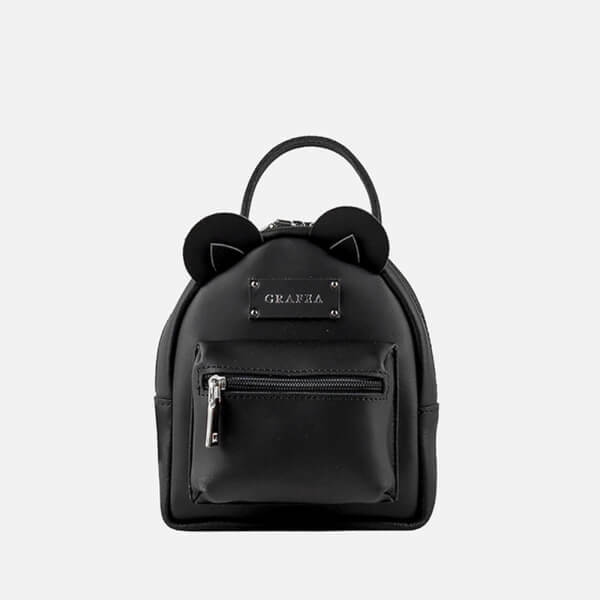 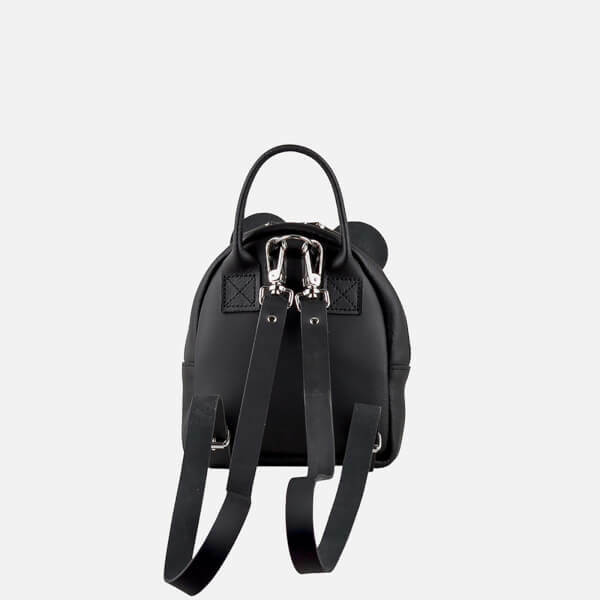 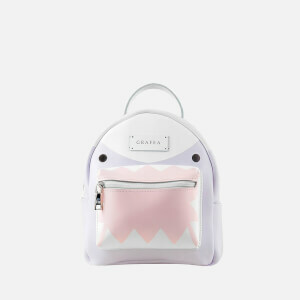 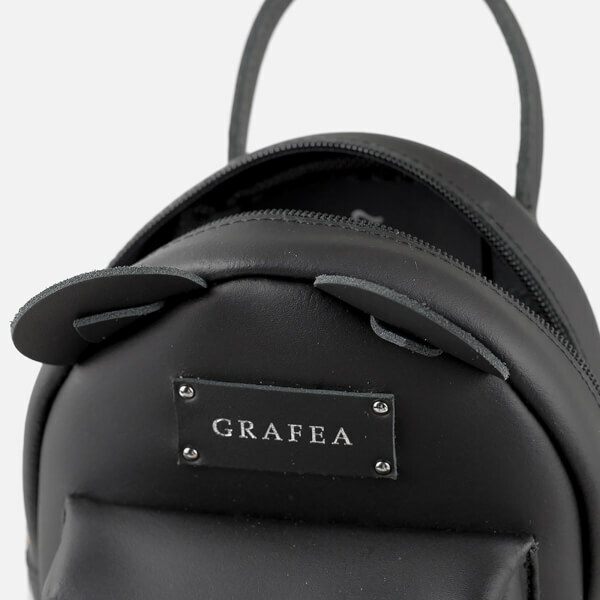 Smooth leather ‘Zippy’ backpack detailed with bear-shaped ears from Grafea. 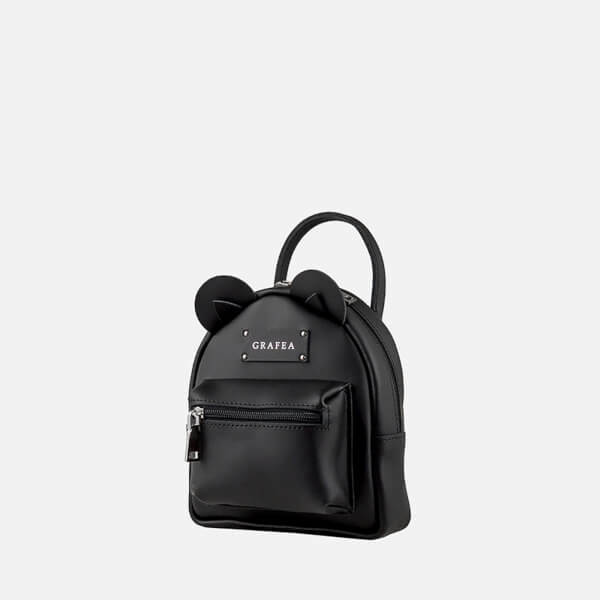 Made in England from pure leather, the mini-sized backpack is constructed with a dual zip closure that opens to reveal an unlined main compartment with a Grafea leather brand tab. 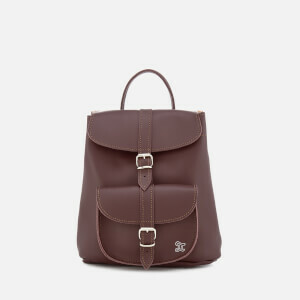 A rolled leather grab handle and adjustable, removable shoulder straps offer versatile carrying options. 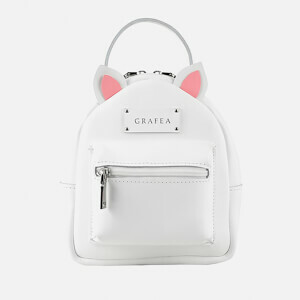 Complete with a zip front pocket, small side pockets and a Grafea logo patch to the front.